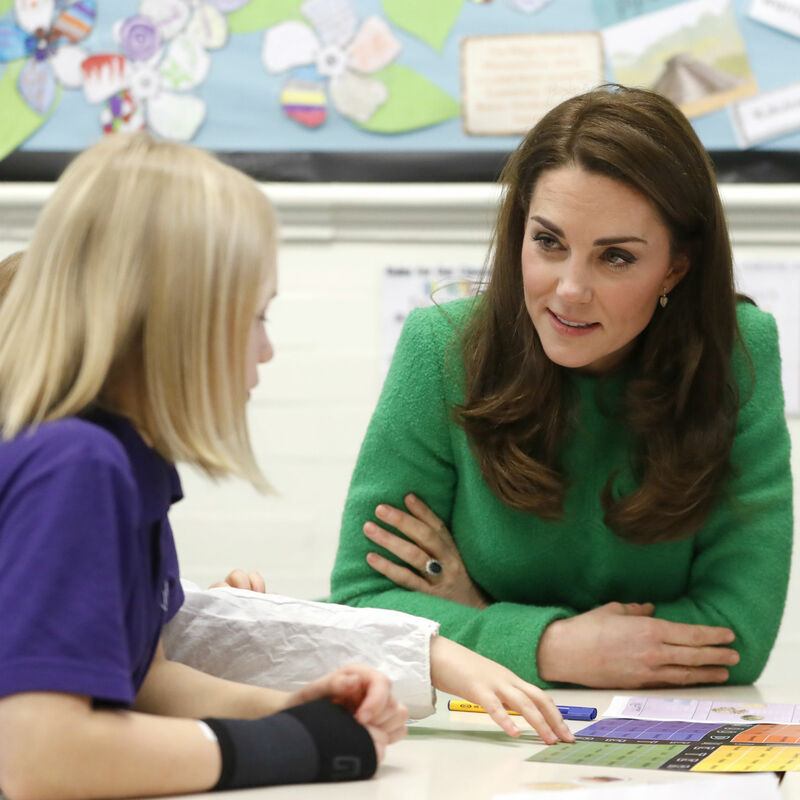 At the start of Children's Mental Health Week 2019, The Duchess of Cambridge visited Lavender Primary School and Alperton Community School to find out more about the support offered to students, teachers and parents to help with mental wellbeing. 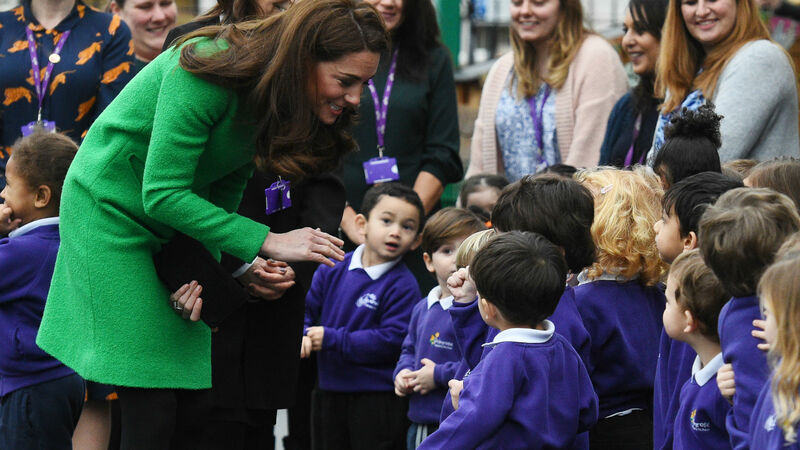 First, The Duchess of Cambridge visited Lavender Primary School in London as Patron of Place2Be. Place2Be provides emotional and therapeutic services in primary and secondary schools, building children's resilience through talking, creative work and play. The Duchess has been Patron for a number of years as part of Her Royal Highnesses' work around the mental health and emotional wellbeing of children in the UK. Today, The Duchess met teachers and students taking part in Children’s Mental Health Week activities. Her Royal Highness sat in on lessons focusing on the importance of physical and mental health, including joining Year 6 pupils for a food diary activity, which focusses on the links between food choices and mood and feelings. The Duchess met parents to hear their stories of the various parenting challenges they face and how they have managed to keep them and their children healthy. The Duchess of Cambridge joins Year 6 pupils for a food diary activity, which focusses on the links between food choices and mood and feelings. The ‘mood meter’ is a way to help pupils identify and plot how they are feeling. It works from left to right: less pleasant to more pleasant feelings and from bottom to top low energy to high energy feelings. 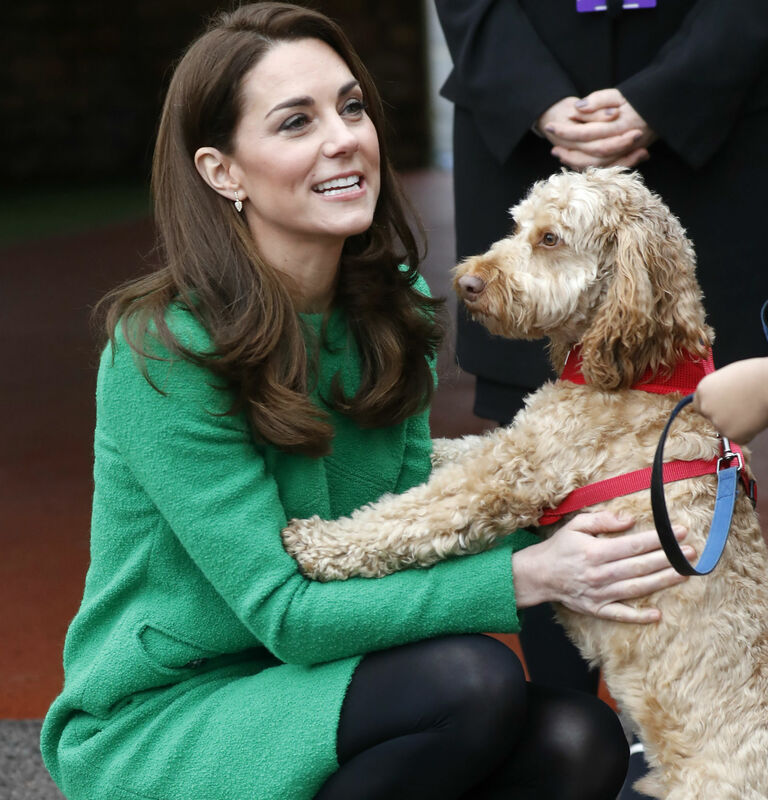 The Duchess also had a chance to say hello to the school's dog, little Herbie. 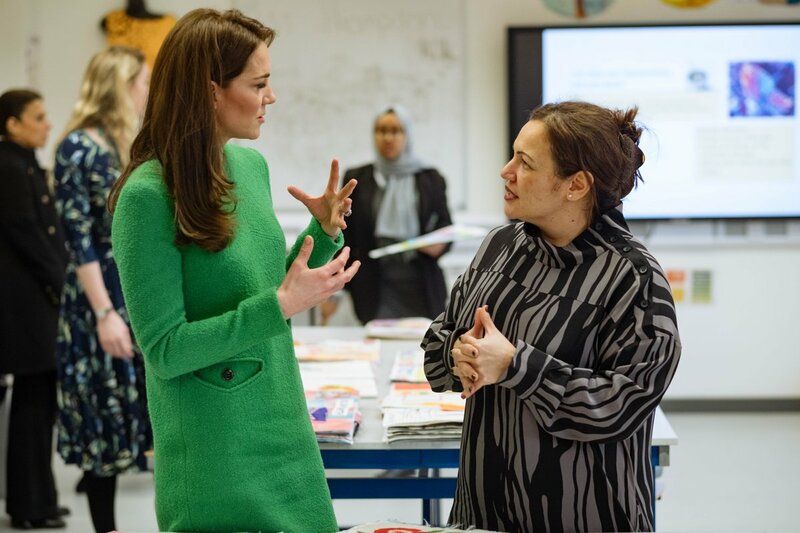 This afternoon The Duchess also visited Alperton Community School where HRH met Andria Zafirakou the UK's first winner of the Varkey Foundation Global Teacher Prize. The award is presented each year to an exceptional teacher who has made an outstanding contribution. Her Royal Highness also found out more about how the school supports pupils and teachers, as well as joining a roundtable discussion about teacher wellbeing. In the textiles classroom The Duchess of Cambridge heard how the school uses Art to enhance children’s confidence, creativity and wellbeing across the age groups.